Raccoons got into my attic and tore up the AC/Heating ducts, and ruined the insulation. Hank's crew (Bobby & Randy), to include Hank himself repaired the ducts, removed the old insulation and blew in new, better grade insulation. They approached their work with calm, quiet professionalism and competence. Hank's even helped with the financing. Five stars for solid performance. Called after hours and they immediately came out as we had no heat. They tried to work with us and it was immediately obvious that the older unit was not worth repairing. They worked with us to get a new unit immediately. Professional installation and great people. 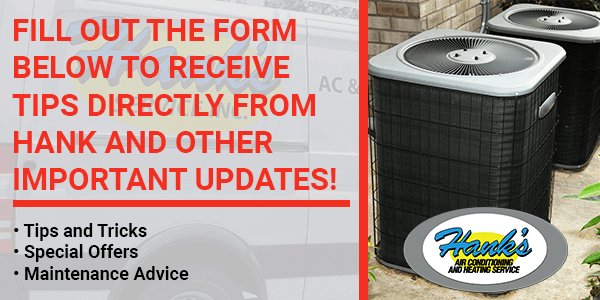 They have always been immediately available when we have had issues and the new installation was just another example of great service. On a recent Sunday, our AC stopped working. I put a call into Hank's that evening, and service tech Mike was at our house before lunch the next day. He was friendly, courteous, professional, and most importantly, capable. He immediately assessed the problem and got right to fixing it. When he discovered a difficulty beyond his initial diagnosis, he repaired that as well. Not only did Mike give me great confidence that he knew what he was doing, he also helped to explain the problem and solution in terms that I could actually understand (which were fairly elementary terms). Mike (and Hank's by extension) did a great job, and he will definitely use them again.